Will the Real Deficit Please Stand Up? The Ontario government claimed that it reached a balanced budget for 2017/18. The Auditor General objected to this claim, and the Financial Accountability Office (FAO) of Ontario has adopted the Auditor General’s recommendation in its fiscal projections. The objections arise because of the government’s inappropriate accounting for certain employee pension assets and for the cost of the recent Fair Hydro Plan. Properly accounting for these two elements adds more than $4 billion to projected deficits for 2017/18 and the next four. 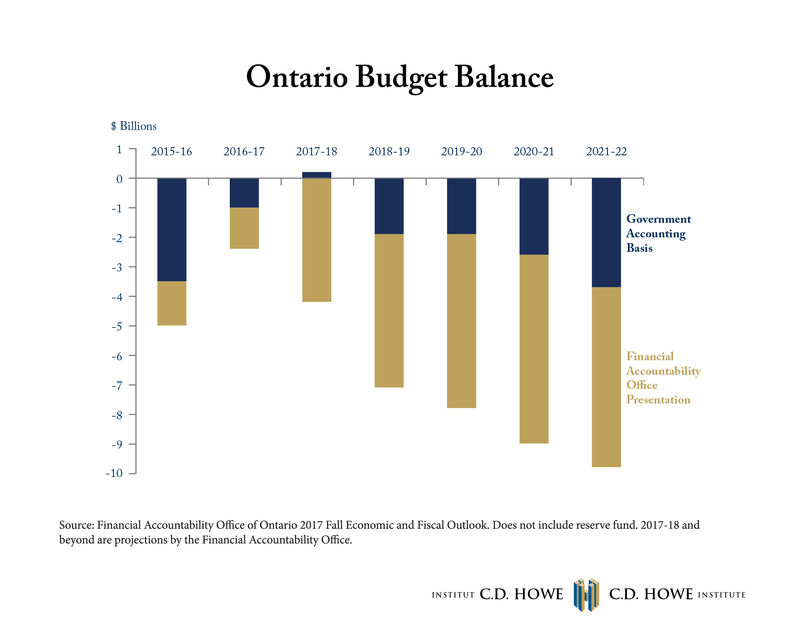 In this edition of Graphic Intelligence we see how, restated to its true value in accordance to commonly accepted accounting standards, the Ontario baseline deficit in the upcoming 2018/2019 fiscal year would be about $7 billion, growing to a projected $10 billion in four years – and this before any new spending in the 2018 budget. To read more about how the Ontario Government can get back into the black, read “Fiscal Soundness and Economic Growth: An Economic Program for Ontario” by Benjamin Dachis.